The key features are the ability to design the Workspace to how you work, Adding or subtracting Modules (filters) to show only the ones you find necessary and work with often but always having those other modules available. The other key feature, if you want to call it that, is simply…price. At $69 normal price (there are some savings I will talk about at the end of the piece) That’s pretty darn inexpensive in the world of editing software especially when you consider how much power and versatility is built into Luminar. Now I’m a big Adobe fan and have been a user of Photoshop since Photoshop 2. so that’s quite a long time. And currently a membership to Photoshop CC/Lightroom is $9.99 a month. Now for a professional like me that’s a small expense relative to the other expenses of running a business. Not everyone is a professional but what if you could get software that offers Pro level performance at a price that’s greatly affordable to people that don’t do this to earn money. That’s where Luminar comes in and very strongly. Even a Pro may find the feature set to be everything they need. Once in the workspace, it’s a space you will instantly become comfortable as it has the pretty much standard Image Center/Left and Adjustment Panels right. At the bottom are the preset. All panels can be turned on or off as you desire. It shouldn’t take anyone that worked with Lightroom or other Macphun products much time to get used to. The first thing you should do is decided on a workspace for how you want to work. Either choose one of the 4 Preset workspaces: Landscape, Street, Portrait or B & W. Or when first working with Luminar, create your own. The reason I say to do this step first is for two reasons. Laminar doesn’t sticky the last used workspace and secondly, if you change workspaces after you start editing an image, it resets everything to zero or default. At least the first condition is something I hope they work on in later releases…remember this is a BRAND NEW product. Once you have a workspace selected, it’s always possible to add on filters if you feel you need to do other things to your image. and you can turn filters on or off as a group. Working on an image is the normal top down approach. start with your basic Tones and then work down from there. The controls are complete but I feel they could have been a bit more responsive and I don’t mean in speed, which was indeed very fast, but in amount of modification to that parameter. Now that may be a good thing since people new to the art tend to like to push things to 11 (Spinal Tap reference) So it may help for people to use more moderation. But I found sometimes I needed to use two different controls to get the strength I needed where I may only use one in Lightroom say. But all in all I found it pretty hard to get things “Goofy” so I liked how everything performed. One thing I didn’t like, and this is nit picking and something a lot of people may not ever notice, is that the Histogram (which is switch able for Luminance and RGB Channels) does not update in real time as you move a slider and only once the adjustment is rendered. I often use the histogram (in real time) to set White and Black Points, so I found that an annoyance. Though a lot of people don’t even know what it is to set a white and black point so my quibble may be irrelevant to them. There really are a ton of different filters (adjustments) that are available. From basic exposure modules like Tone, Curves, Top and Bottom Lighting (gradient) and Advanced Contrast. And then color adjustments like; Saturation/Vibrance and Color Temperature. Now Color temperature was full manual adjustments but they do have a Remove Color Cast tool which did a fairly good job of making white white. Next up they have a full range or detail enhancements; Clarity, Structure, Orton effect ( Mix of soft and detail in areas of the image), Glow, Detail Enhancer and a few more. I think they could have done with a few less of these controls as some overlap. But people do love these controls as they feel it brings out the pop in an image. But it’s very easy to get too much of a good thing. Finally they have all the finishing touches; Vignetting, Textures, Grain, Sharpening. Noticeably absent from the finishing touch in the “Filters” section is Noise reduction. Don’t worry it’s there and it is a pared down version of Macphun’s great NR reduction program Noiseless. VERY effective. You’ll find it however on the farthest right side bar, where the crop and clone tools also reside. When you use the Noise reduction, it automatically adds it as a new layer which I found really nice since a lot of times I like to mask the noise reduction to only certain areas. Oh, I forgot to mention there is also a B & W…both Workspace and Filter. I found it good but I’m really particular about my B & W conversions. If you are just a casual mono converter you’ll find it works just fine. If you really are into B & W photography, this is the point I think it would be worth investing in Macphun’s own Tonality. A really powerful B & W program. The cool thing is, if you have any of the other Macphun Plug-in or the Creative Kit, you can export your image directly to those as plug-ins. Overall, this worked just great and as advertised. I easily was able to get a great looking image with very little fuss. I did need to alter how I edit a bit differently than I would in LR/PS. But it was intuitive enough that I found the controls i needed to fix what needed fixing without much work. Well, first and foremost; the price. At $69 all prices, it’s the best bargain in editing software. Second; the feature set, hard to ask for much more or to NEED much more. Third; Performance, very fast and lightweight. Never seemed to strain the system and was very fast. Refresh happened almost instantaneous without lag. There were a few minor bugs I encountered. But Macphun puts out bug fixes very fast with new software so I doubt they will linger. Plus the version I was testing was almost but not quite the release candidate. No File browser or catalog. Now I know they recommend using Lightroom for that, but it seems a bit silly to spend the money for LR if you intended to save money. Being a quasi RAW editor. Yes it does. But it doesn’t use Mfg.RAW formats or even allow for DNG as an output but I get it. I know what that takes to accomplish. To conclude, Luminar was VERY well done and performed as good as I could ask. I was pleasantly surprised it was that good at that price! 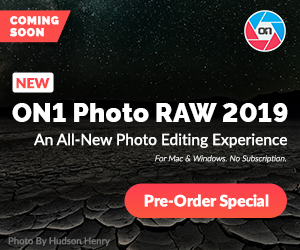 This entry was posted in Discount, Editing, HDR Lesson, New Software, Product Review, Software, Software Review, Software Sale and tagged Editing Software, Luminar, Macphun, Macphun Luminar.